Parents often want an extra Activity Book for other children in the family. 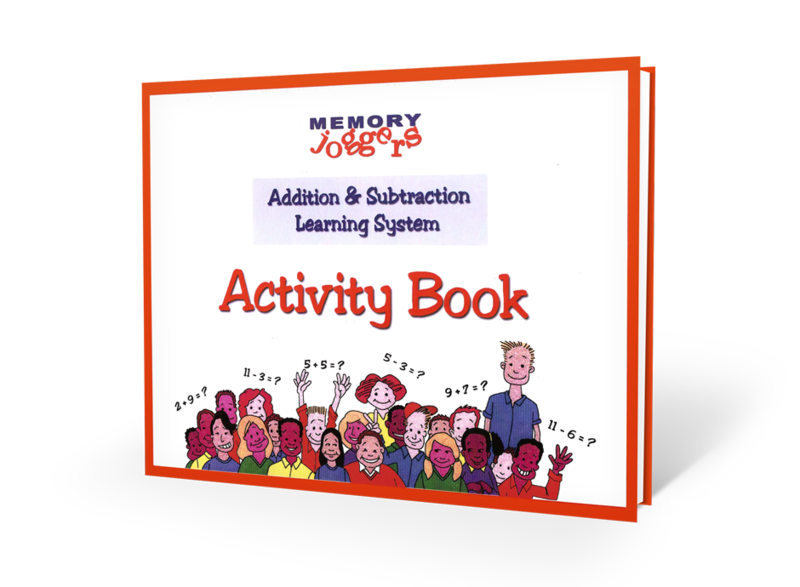 This lively Addition & Subtraction Activity Book is the perfect learning tool for memorizing and reinforcing the addition and subtraction facts. There are many activities that will engage children of all ages. Pictures to color, along with lined pages for writing the rhymes and fact families, make learning quick and easy. Also included, are Assessment Tests to monitor the student’s progress. Please note, none of the rhymes are listed in this book. It is necessary to purchase the Addition & Subtraction Rhyming Cards along with this. This Activity Book is also included in the Super Achiever System, the Add & Subtract Deluxe Edition & the Add & Subtract Basic Edition packages.